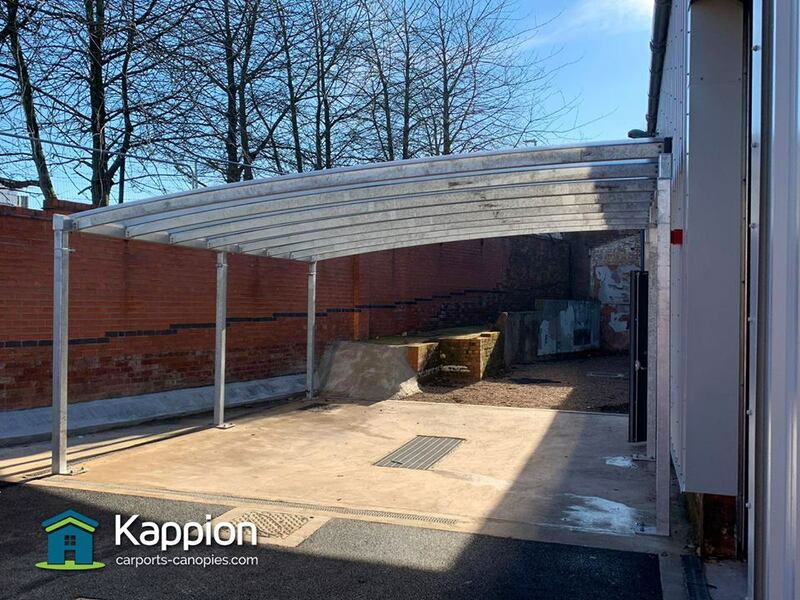 A custom design which materialised into a fully installed industrial wash bay canopy that ticked all of the boxes for our client. 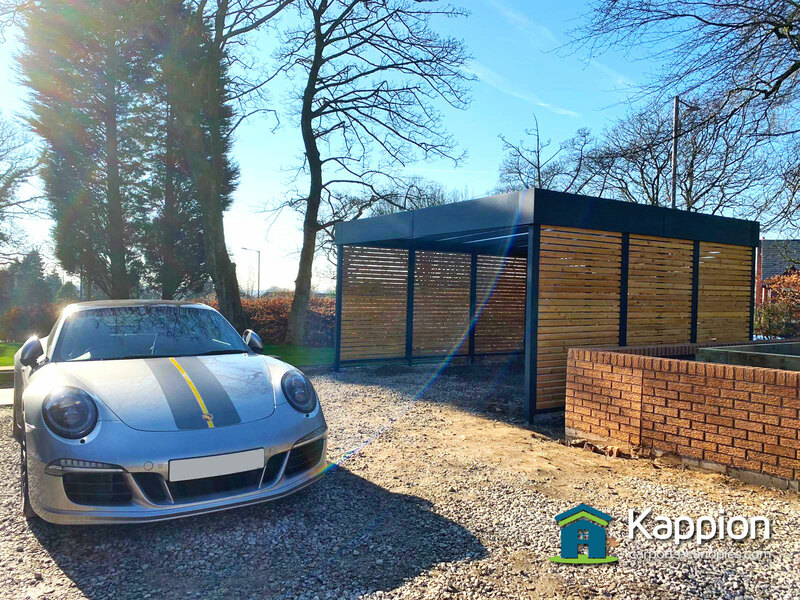 This free-standing Europort really does complement the natural beauty of the surrounding area as well as our customer’s sports car. 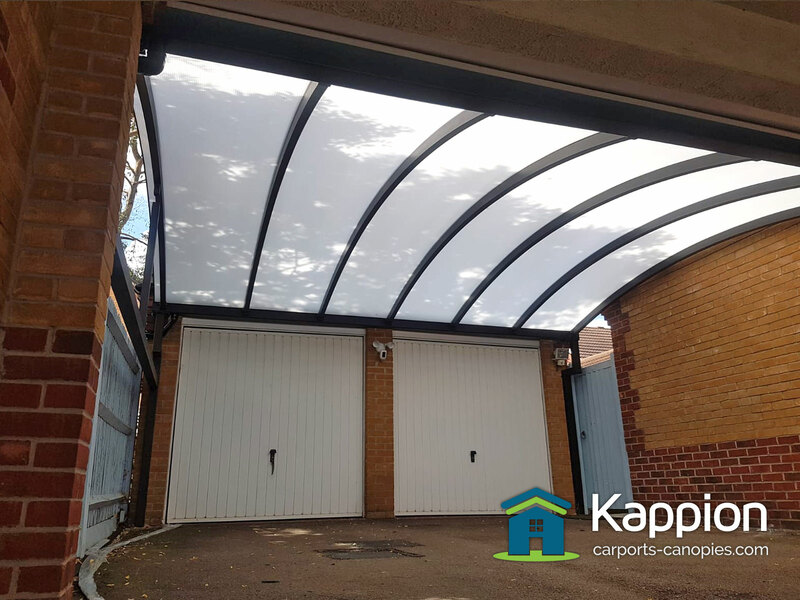 A stunning Europort carport designed, engineered and fully installed by our team of professionals at Kappion. 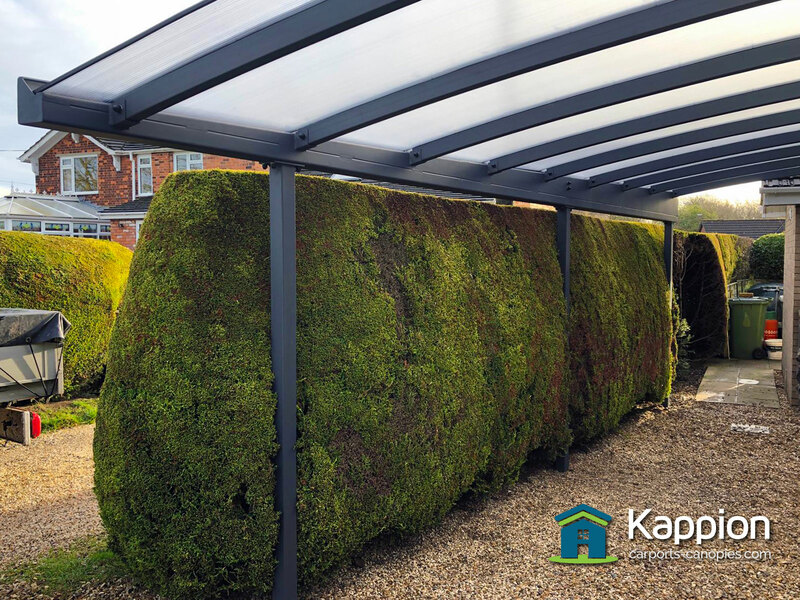 We pride ourselves on delivering the best and we love nothing more than a happy customer. 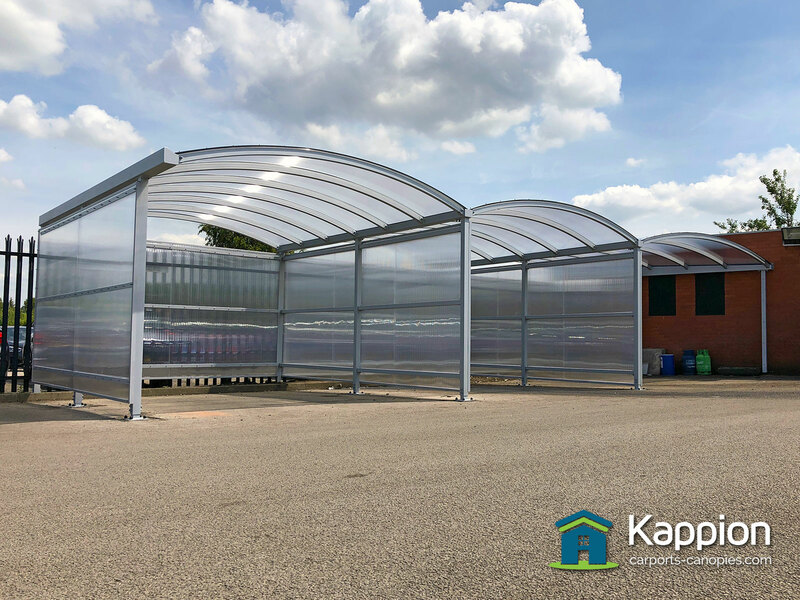 This is a perfect example of a well-executed commercial canopy. Desirablecar.com needed a structurally sound solution and we certainly exceeded their expectations. 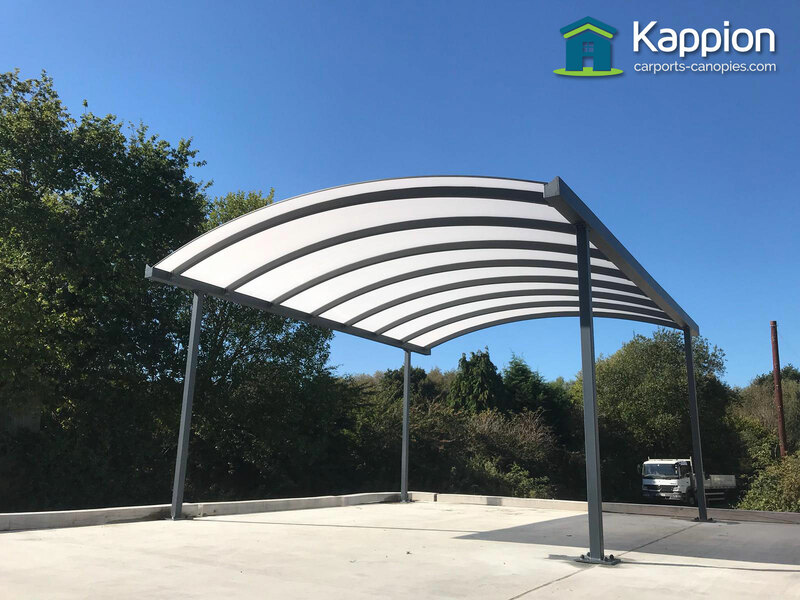 What we supplied was exactly what our customer desired… a free-standing, stunning, modern and contemporary carport, professionally installed and fully guaranteed. 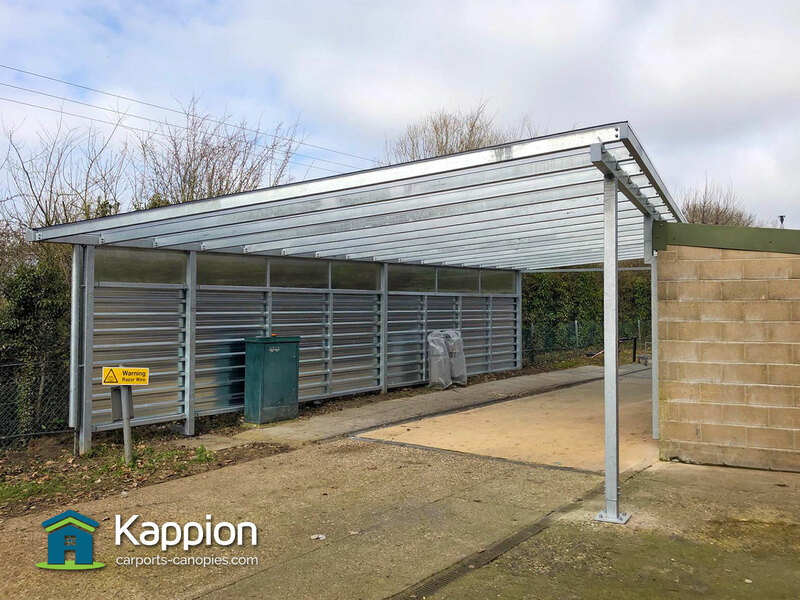 Our team designed, manufactured and installed a multi-functional walkway storage canopy, wall attached to the side of a property down in Harrow. 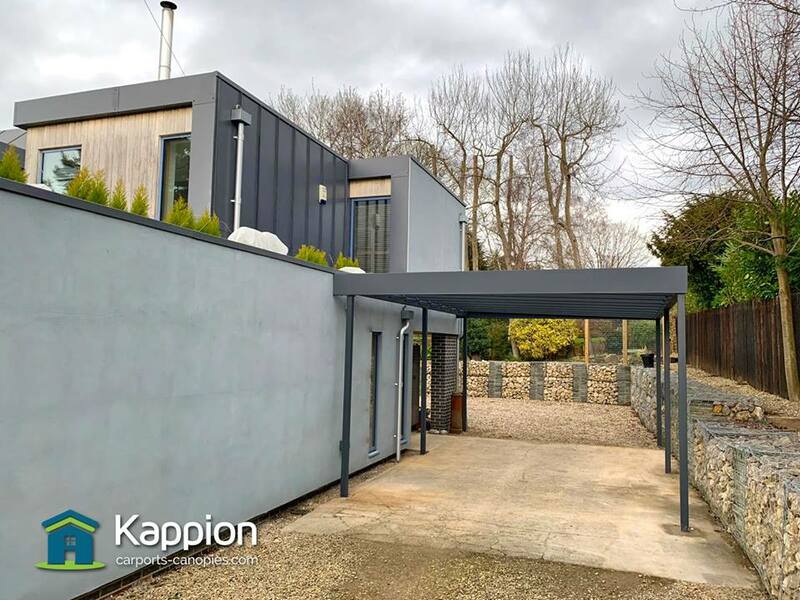 Hot dip galvanised, Jet black powder coating and opal polycarbonate. 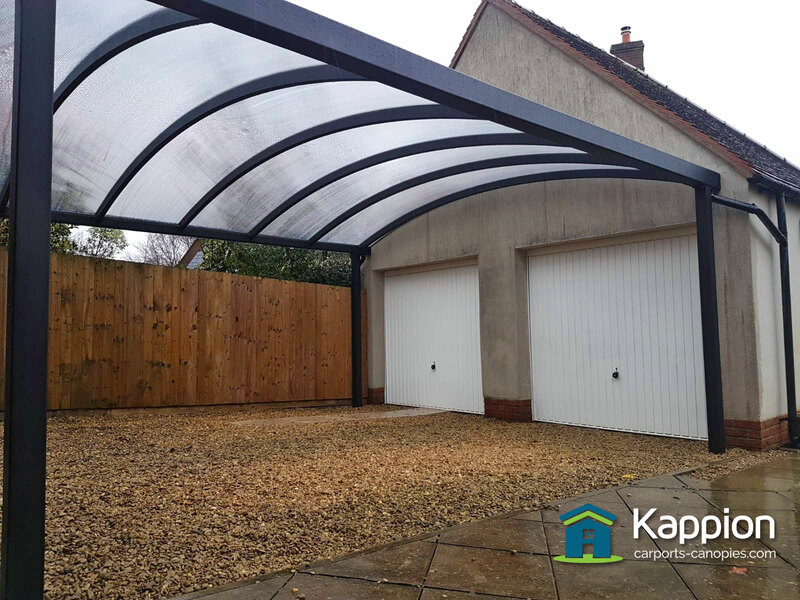 Our customer was blown away by his double Clapham carport that fully protect his vehicles all year around. BMW approached us with the requirement for a triple wash bay canopy. 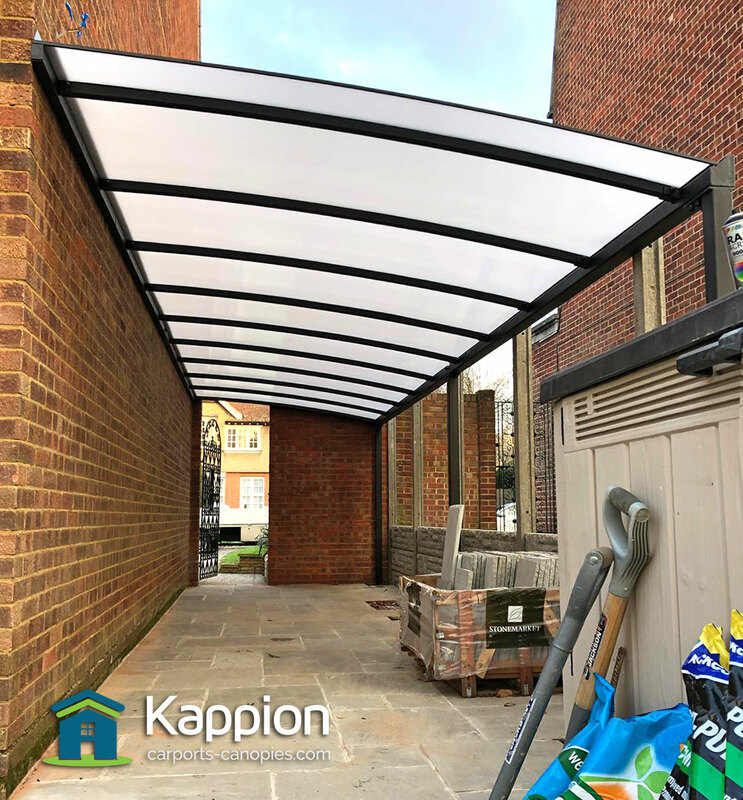 Our team at Kappion certainly delivered with it’s structurally sound, stunning canopy.